In earlier days people used to have an inner conscience to realize what they did or are doing was either right or wrong. 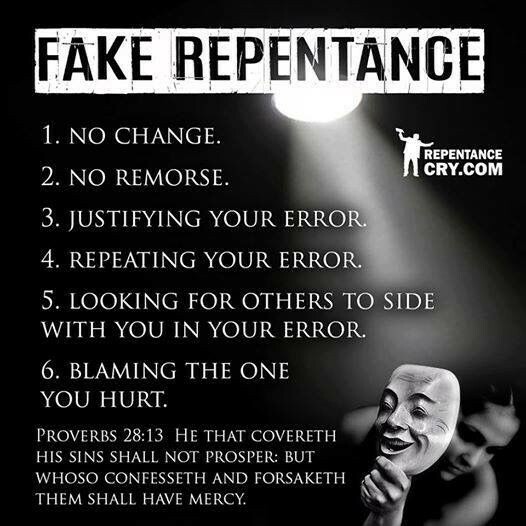 But these days everything is taken for granted and people pretend an important aspect called Repentance. When the conscience of discernment leaves mankind, there’s no place of feelings like trust, faith and honesty, it will eventually die with time. Stay true and sway away from wrong doctrines. Have a great day. God bless you.